Relax and unwind with our highly relaxing body therapy massage. We use Swedish massage techniques designed to remove tension whilst removing toxins with a luxurious massage serum with essential oils to soothe, nourish and calm. I HAVE ENJOYED MY MORNING WITH YOU GUYS, THANK YOU! We use Swedish massage techniques designed to remove tension whilst removing toxins. Luxurious massage serum with essential oils to soothe, nourish and calm. This is a massage therapy technique that promotes deeper muscle relaxation through the placement of smooth heated stones applied to key points on the body. Long gone are the days of exposing our skin to damaging UV rays, which damage and dehydrate our skin. We use the award winning spray tan range from Fake Bake range to enhance your tan, with a choice of different colour depths. This includes the amazing 60 Minute Tan. Enhance your skin with one of our professional body lotions to hydrate and smooth your skin, whilst prolonging the length of your tan. A new Professional Spa Pedicure, enriched with anti-oxidants such as Green Tea and Brazilian Super Fruits Relax and feel the incredible benefits with the OPI Spa Pedicure It’s 240% more hydrating than our previous pedicure with increased removal of hard skin to give you smoother and soft feet. 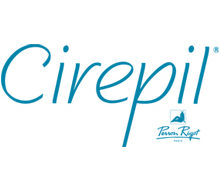 Cirepil by Perron Rigot Paris, is our preferred treatment wax and has been a leading waxing system for more than 70 years. The wax is hypoallergenic, uses a low-temperature and gives impeccable results whilst offering a gentle treatment.